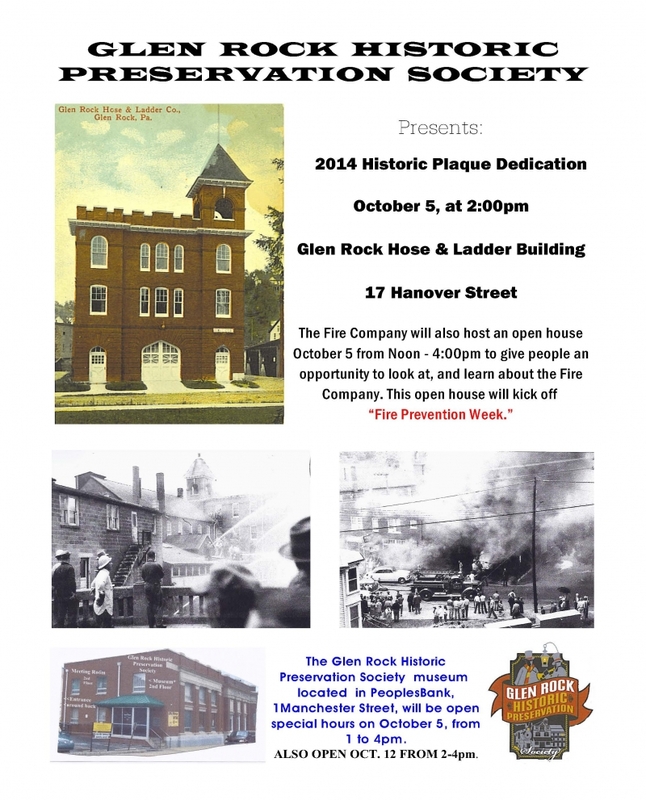 Thursday, September 18, 2014 Come join us on October 5, 2014 from Noon till 4:00 pm for our Open House and Historical Plaque Dedication. The Historical Society will present the plaque at 2:00 pm. We will have light refreshments, the fire safety trailer, and other activities for everyone to enjoy. So bring your family down to the Station and meet the men and women that give their time to protect you and your loved ones.